The Olympic Games are full of history, tradition, stories and controversy among many other things, but we can all agree it is a great time for sports betting. The 2016 Summer Olympics are hosted in Rio de Janeiro, Brazil and extends from August 5th to the 21st. The program features 11,000 athletes from 206 countries, 28 sports a total of 41 disciplines and 306 events, so this means a lot on the board for the 2016 summer Olympics odds. Granted, there are some disciplines that are overlooked while others hog all the attention and generate special interest, as is the case of football soccer, athletics, swimming, gymnastics and volleyball; but regardless of what your favorite sport is or if you are just betting to win regardless of the sport and just following statistics and odds, pretty much every sportsbook out there is taking wagers this summer and they have the 2016 summer Olympic betting odds prominently listed. Boxing, Cycling, Archery, Judo, Taekwondo, Table Tennis… you name it, there’s odds for everything. Among the most popular 2016 summer Olympics odds are athletics especially 100m, 200m and 4 x 100m relay competitions in which sprinter Usain Bolt is favorite with odds at 100m of -200 and at 200m of -300, while men’s 4 X 100m winner prediction has Jamaica with odds of -170; men’s swimming has the main figure of Michael Phelps, men’s Olympic basketball as expected has the USA team leading with odds of -1600, Novak Djokovic leads as the favorite to win in men’s tennis singles, Roger Federer didn’t make it due to an injury, but Rafa Nadal and Andy Murray are not about to make it easy for Djokovic ; in the female end of this sport we have of course Serena Williams who leads as the most likely to be the outright winner in Women’s tennis singles at -120, followed by Garbine Muguruza with odds of +450; soccer has host team Brazil as the favorite at -110 and there is the favorite team in each group that you can also bet. Anything can happen in Rio 2016, for instance Serena and Venus Williams had a first round shocking loss in two sets to Czech Republic’s Lucie Safarova and Barbora Strycova; Kosovo got their first medal in their first time participating in the Olympics with Majlinda Kelmendi winning gold in Judo in the -52KG weight category. So nothing is set in stone. Michael Phelps is the most decorated Olympian of all time with 22 accumulated medals (18 of them gold), he came out of retirement to take on this last challenge… lots at stake for Phelps as he can continue to break records. This are also expected to be Usain Bolt’s last Olympic Games. So this may be the last chance you get to bet on Phelps and Bolt. Which country will take home the most medals? Check out all 2016 summer Olympics odds available at Ace Sportsbook. 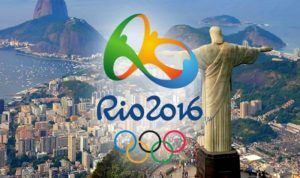 The best 2016 summer Olympics odds are found at Ace Sportsbook where you can bet on the best Rio 2016 events 24/7 online and from any mobile device, AceSportsbook.com has you covered!